Everybody makes mistakes, and most people would be horrified to see their mistakes immortalized on the internet. Even if our worst enemy did something stupid, we as a society would generally be kind enough to not throw it online just for kicks. However, that consideration does not apply to faceless organizations without any feelings to hurt, so it’s consistently fun to laugh at the little errors that they make from time to time. 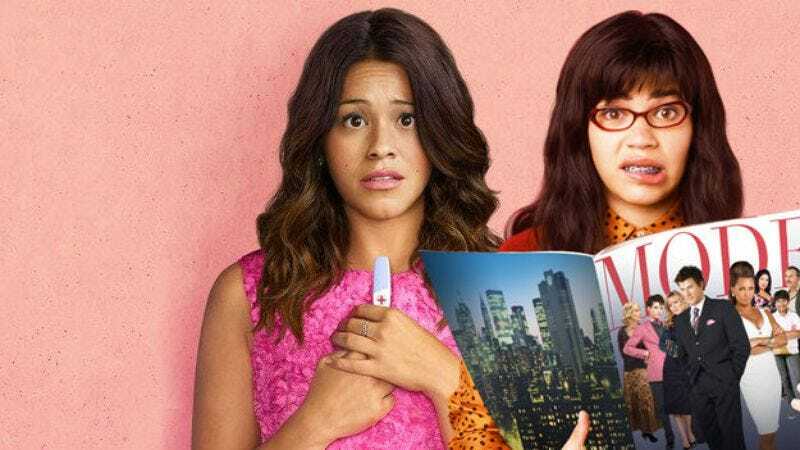 The latest group to commit one of these hilarious blunders is the Hollywood Foreign Press Association, which accidentally referred to Ugly Betty’s America Ferrera as Gina Rodriguez while tweeting about its Golden Globe nominees from the official Golden Globes Twitter account. The tweet was quickly deleted, but not before it was screen-capped and spread to all corners of the internet. This all comes from Deadline, which notes that the Hollywood Foreign Press Association people released a statement apologizing to Ferrera and Rodriguez, offering them their “sincerest apologies.” Jane The Virgin star Gina Rodriguez “ignored the slight” by simply tweeting “speechless gratitude” to the Golden Globes people for her recent nomination, though the language of Deadline’s article weirdly implies that she was secretly upset about the name mistake. Maybe Deadline knows Gina Rodriguez really well and figures that she started flipping tables or something when she found out that a B-level award ceremony thought someone else was her. Unfortunately, we’ll never know the truth.